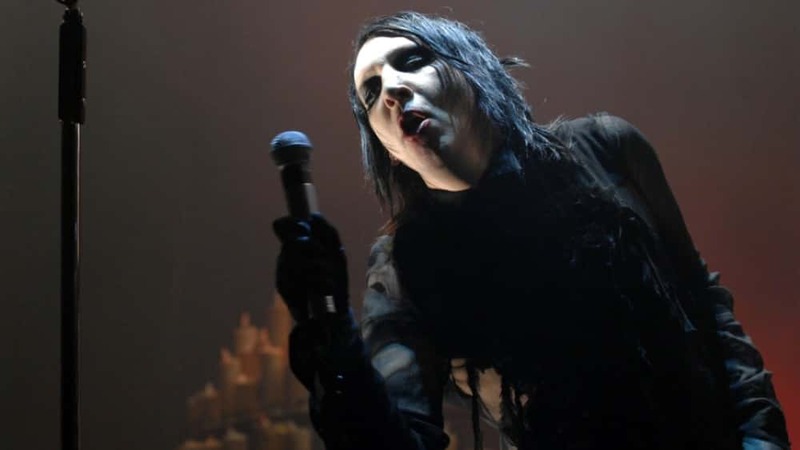 Marilyn Manson collapsed onstage Saturday night (Aug. 18) during the Texas date of his co-headlining tour with Rob Zombie. He had only completed a few songs from his set before canceling the remainder. His collapse took place during “Sweet Dreams.” After video surfaced on Sunday, Manson sent out a tweet updating fans on his condition. “Thanks Houston for being understanding,” he wrote. “I ended up in doctor’s care, but I gave it my best and you guys were amazing.” In videos of the incident, Manson is apparently ill as he clung to his microphone stand for support. In one clip he seemed to sluggishly say that “heat poisoning” was the cause of his ailment, though rumors are that he may have had food poisoning. The co-headlining tour with Rob Zombie is set to resume though it was currently unknown whether or not Manson will perform.